SKU: DPND14. AE Serve U Phone. Brass: quantity 1. Circa 1940. SKU: BPDSS02. 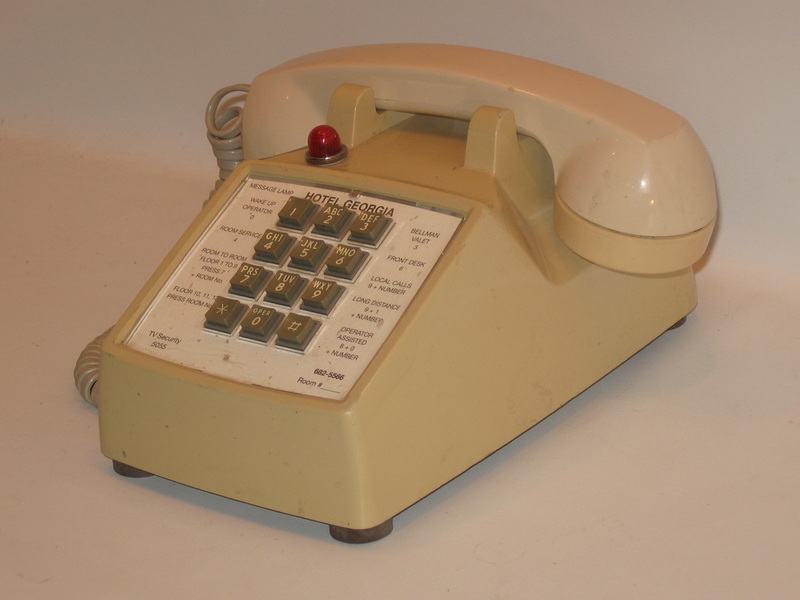 WE 500 hotel or motel phone. Ivory: quantity 1. Circa 1955. SKU: BPDSS01 . 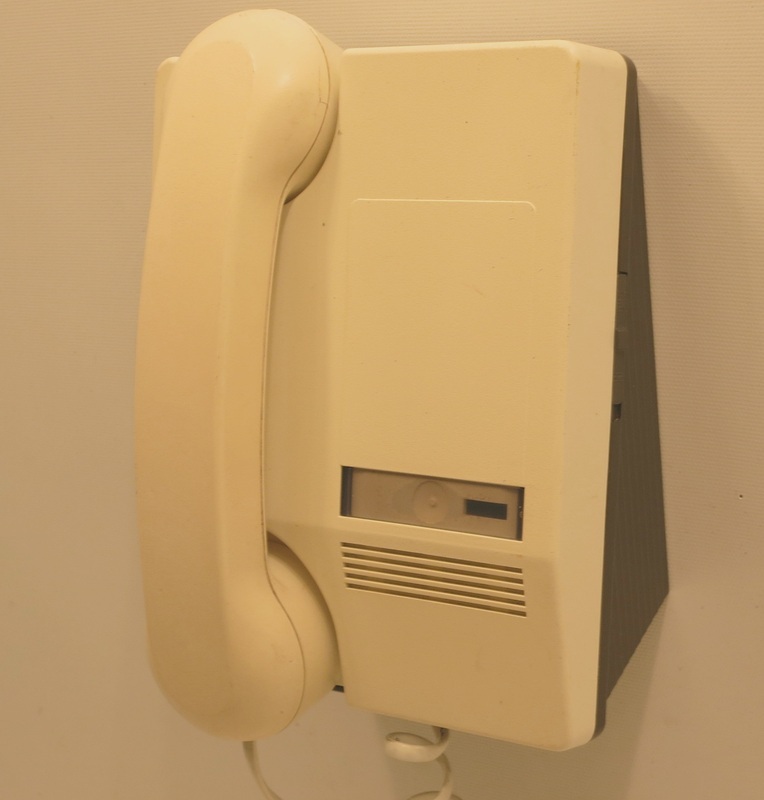 Hotel or motel phone. Beige: quantity 2. Circa 1955. SKU: BPDSS01. 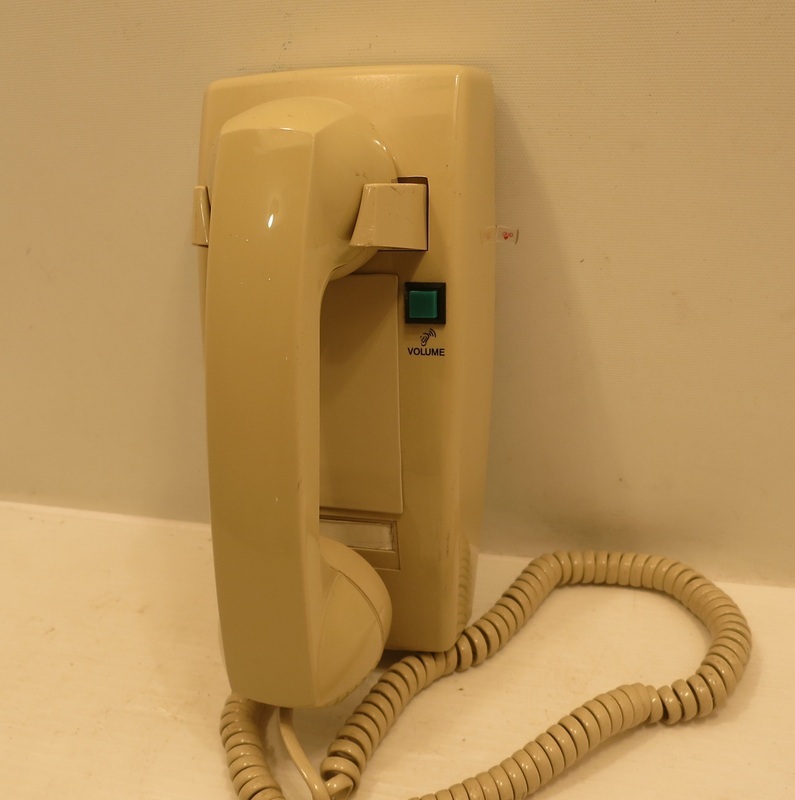 AE Type 80 hotel or motel phone. Green: quantity 1. Circa 1955. SKU: DPND05 . 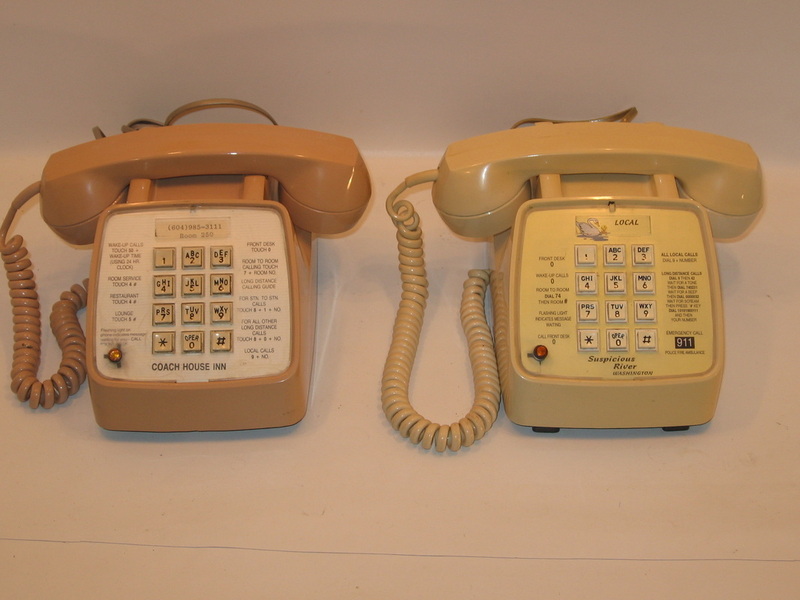 AE Type 80 "hotline" direct line phones. Red: quantity 5. Circa 1955. SKU: DPND05. 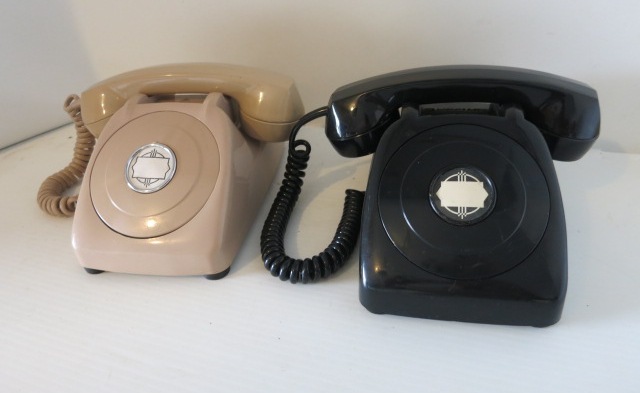 AE Type 80 non-dial direct line phone Beige (1), black (2). Circa 1955. SKU: WPPND01. 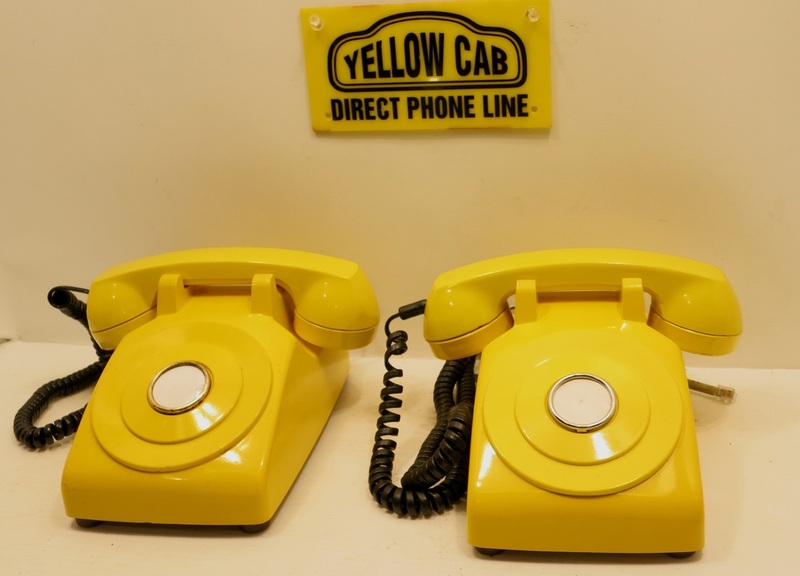 AE Type 90 direct line taxi phone. 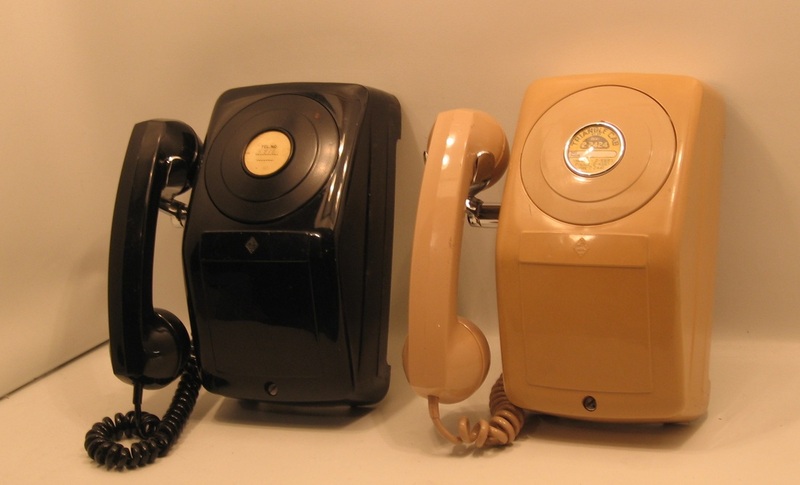 Black (5), beige (1). Circa 1956. SKU: WPPND01. AE Type 90 direct line taxi phone. Colours: green (1) red (1). Circa 1956. SKU: WPPND03. 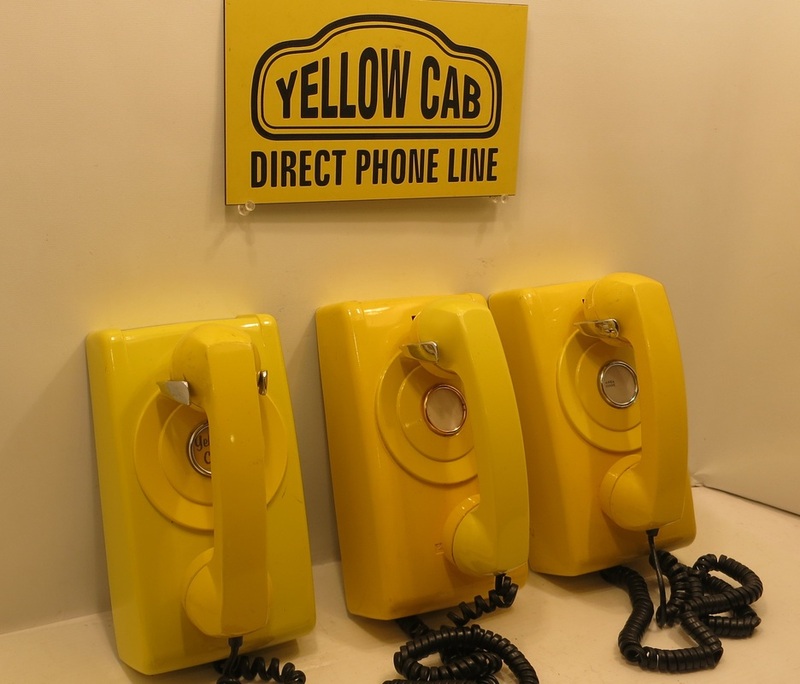 AE Type 90 direct line wall phone Canyon Taxi. Black: quantity 1. Circa 1956. SKU: BPTCSS06. 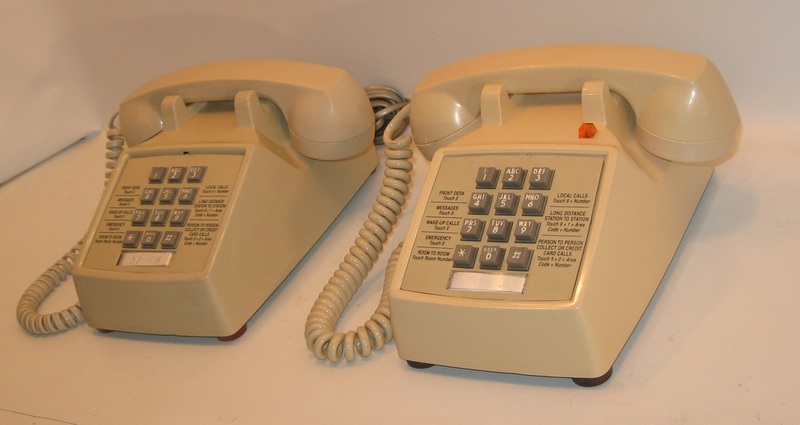 WE 2500 hotel or motel phone. 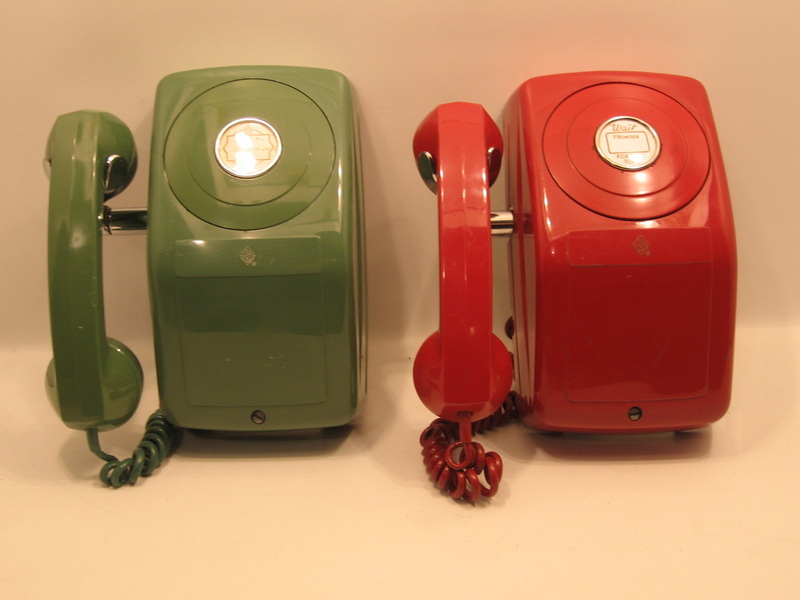 Ivory (2), yellow (1), green (1). Circa 1968. SKU: BPTCSS07. WE 2500. 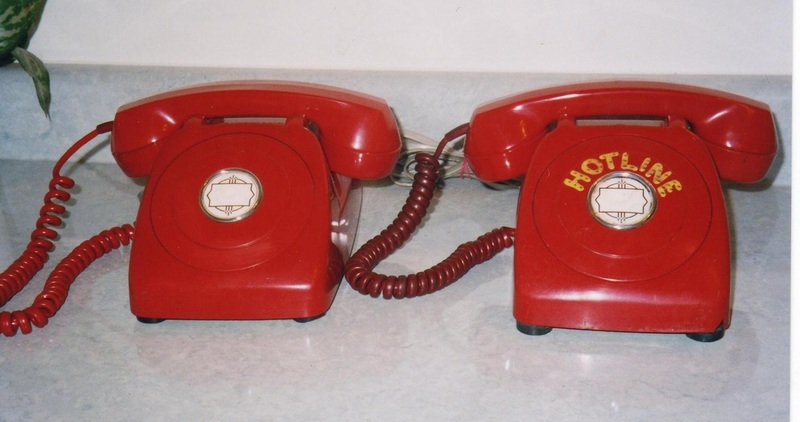 Hotel or motel phone. Sand (4), ivory (7). Circa 1968. SKU: BPTCSS08. 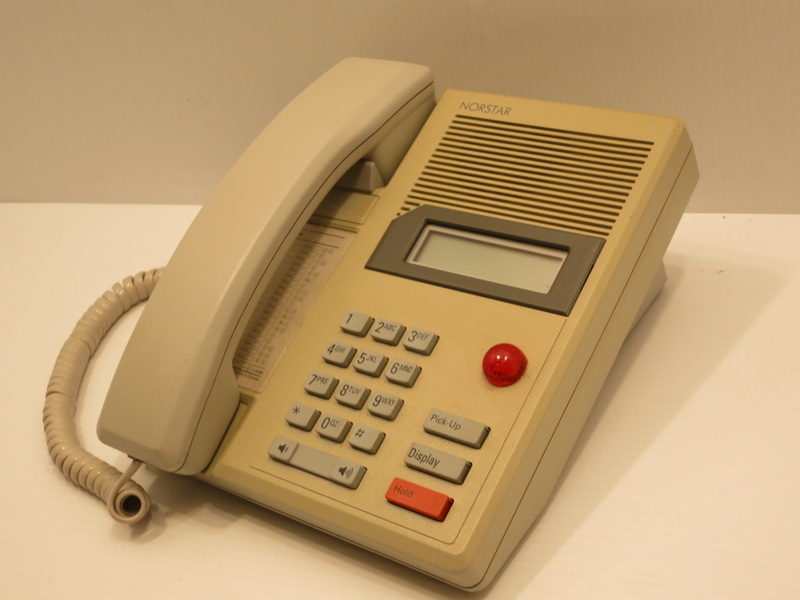 AE 80E hotel or motel phone. Green: quantity 1. Circa 1968. SKU: BPTCSS08. 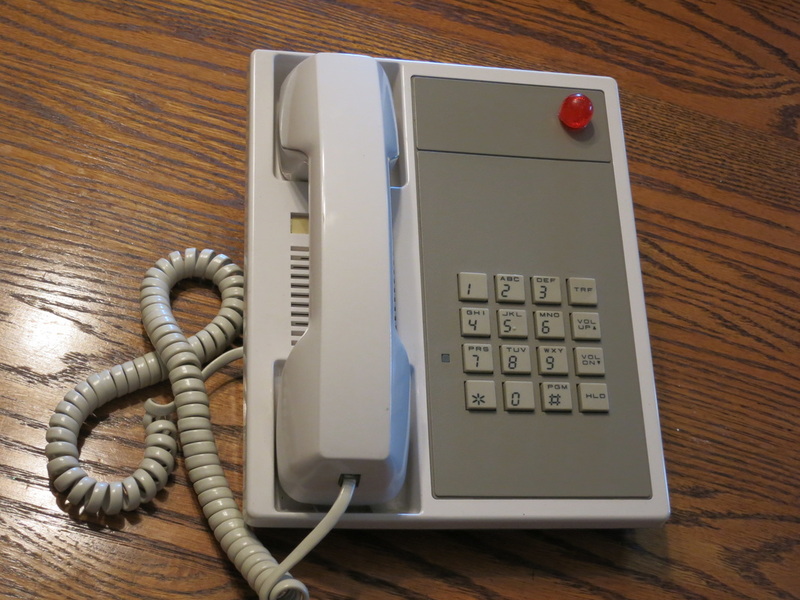 AE 80E hotel or motel phone. Beige (1), ivory (3). Circa 1968. 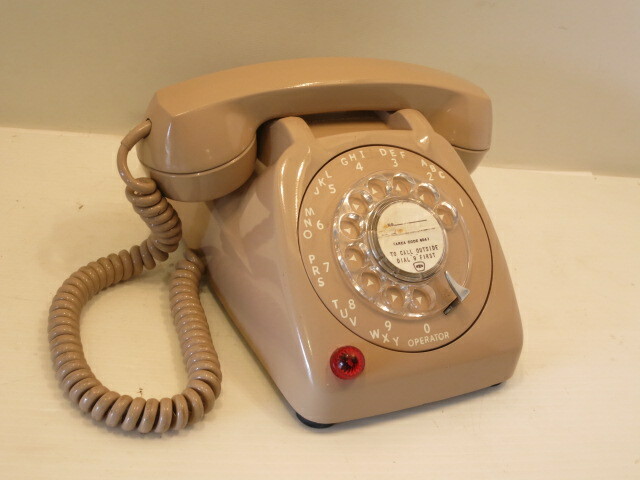 SKU: BPTCSS 17. hotel or motel phone (Hotel Georgia). Ivory: quantity 1. Circa 1992. SKU: DPND11. 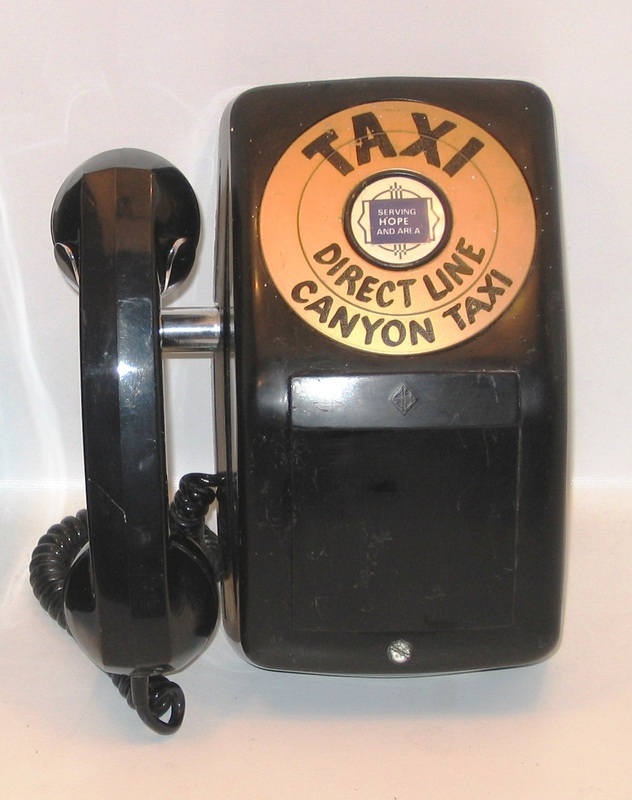 NE direct line taxi phone. Black: quantity 2. Circa 1970. SKU: WPPND09. 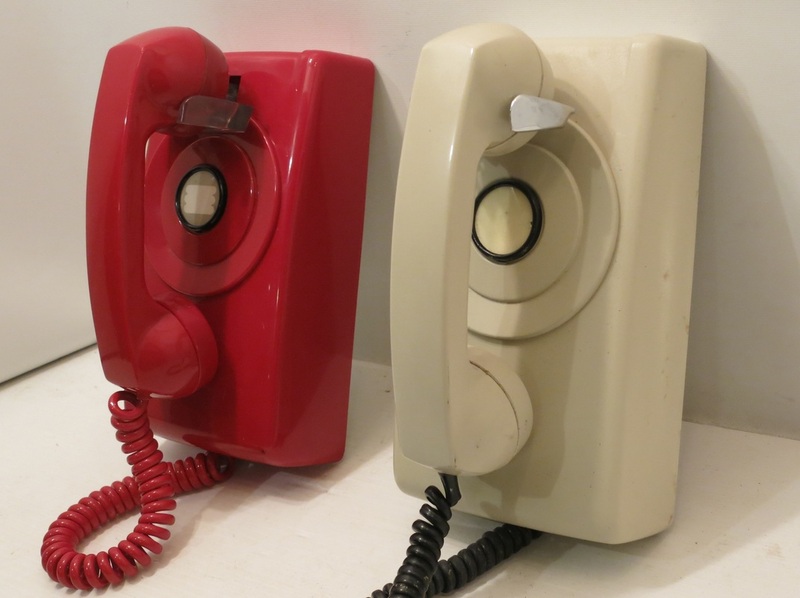 WE 554 Direct line wall phones. Red (1), grey (2), yellow (10), black 1. Circa 1970. SKU: WPPND02. 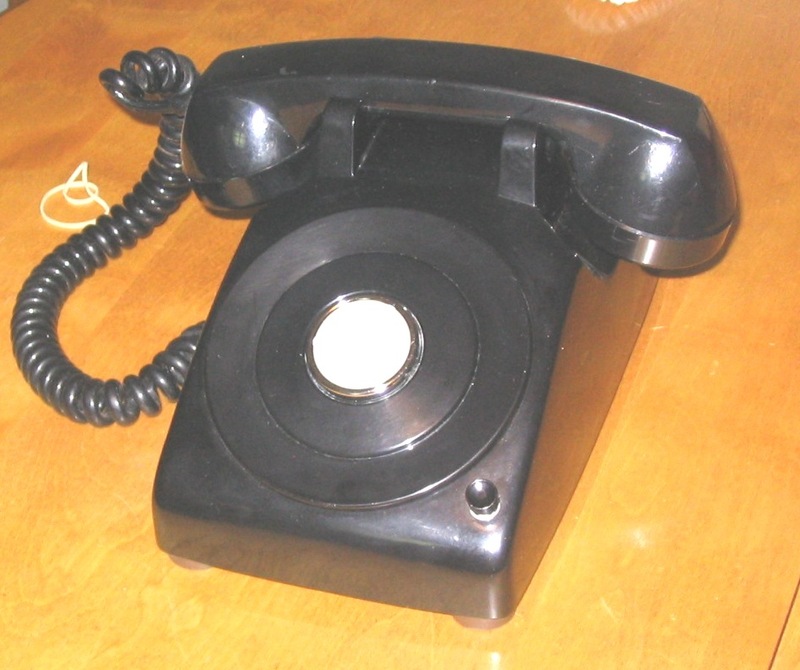 AE 192 direct line phone. White: quantity 1. Circa 1970. SKU: DPPND02. 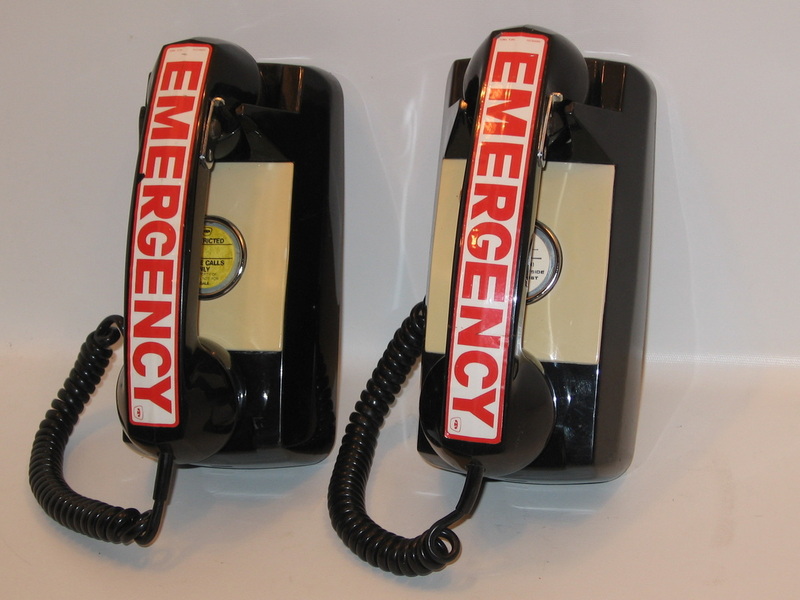 AE 192 direct line emergency phone. Black: quantity 2. Circa 1970. SKU: WPPND 07. 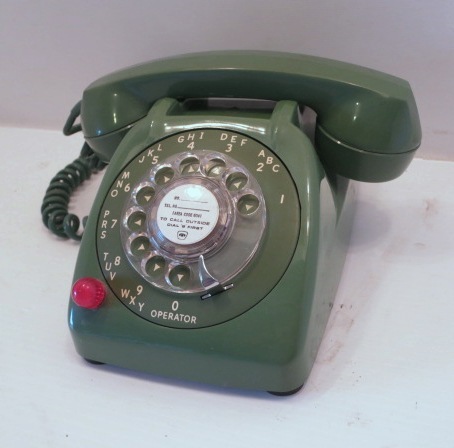 Direct line phone. Ivory: quantity 1. Circa 1970. SKU: WPPND08. 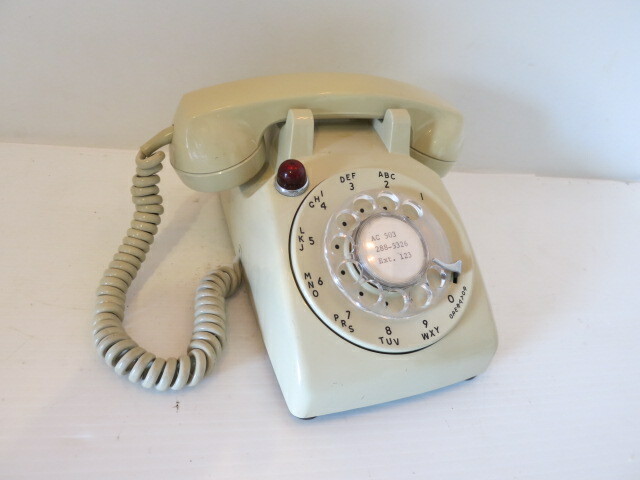 Direct line wall phone. Black: quantity 1. Circa 1970. SKU: WPPND06. 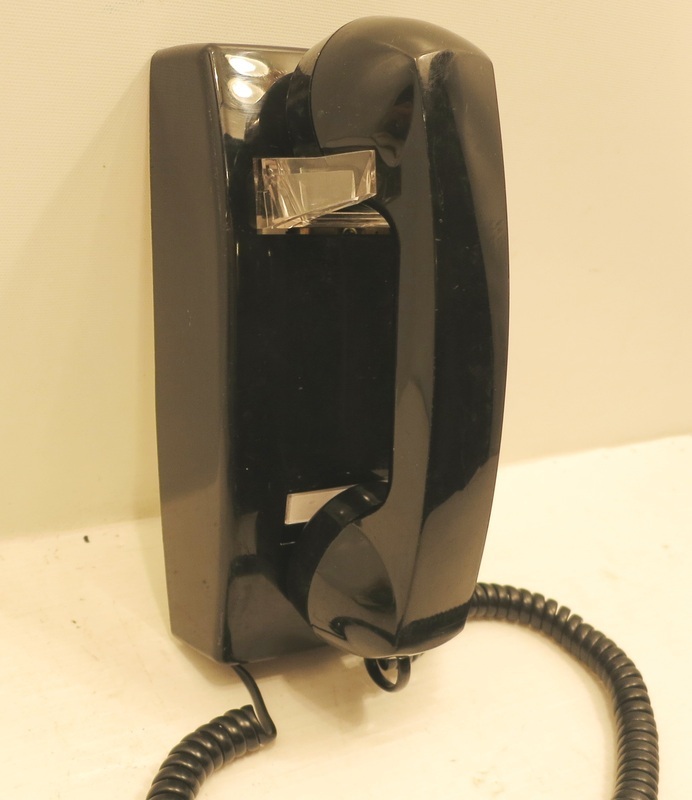 NT direct line desk or wall mount taxi phone. White: quantity 4. Circa 1980. SKU: WPPND06. 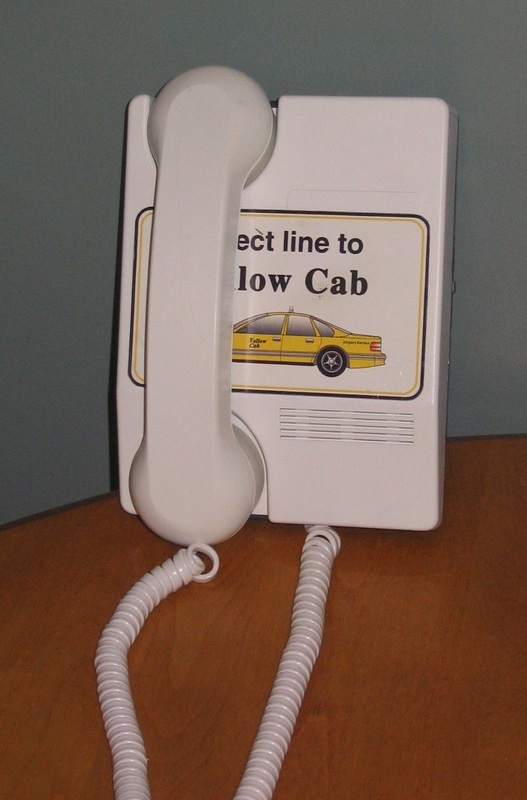 NT direct line wall mount taxi phone.White: quantity 4. Circa 1980. SKU: BPTCSS28. 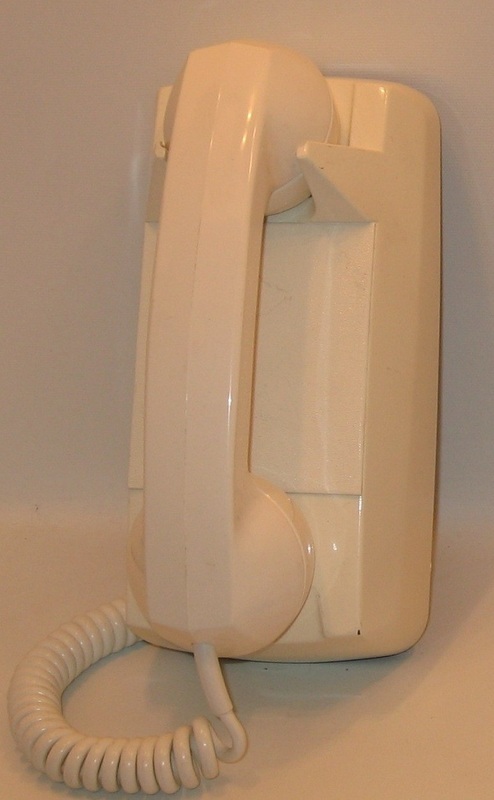 Norstar Motel phone. Grey: quantity 1. Circa 1993.